Cockroaches are the most disliked of all household insect pests. They are both annoying and a potential health threat. They may spread human disease by contaminating food, utensils, and countertops with disease organisms carried on their feet and bodies, or regurgitated with small quantities of partially digested food. 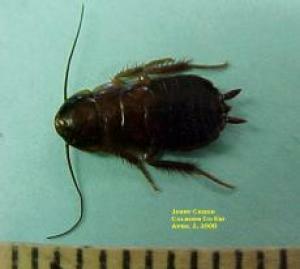 Although associated with filth and unsanitary conditions, cockroaches can be found in the best-kept homes. For the rest of this article, please see the handout titled Cockroaches and their Control from Iowa State University Extension.